Even in this era of globalization, few projects can rival the Serenity Series for geographic diversity. 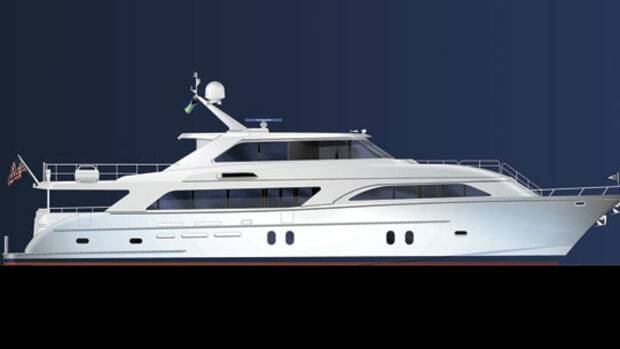 Cheoy Lee Shipyards will build the 68, the first model in the series, at its yard in Doumen, China. Her design comes via an Australian firm, David Bentley Industrial Design, while her high-tech composites were spec’d by the structural gurus at High Modulus in New Zealand. Rounding out the team, Seattle-based Sylvia Bolton created the interior. 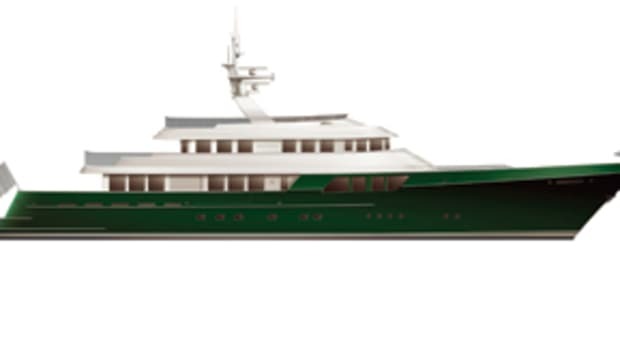 Breaking from the traditional expedition yacht/trawler style, David Bentley has developed a distinctive look. 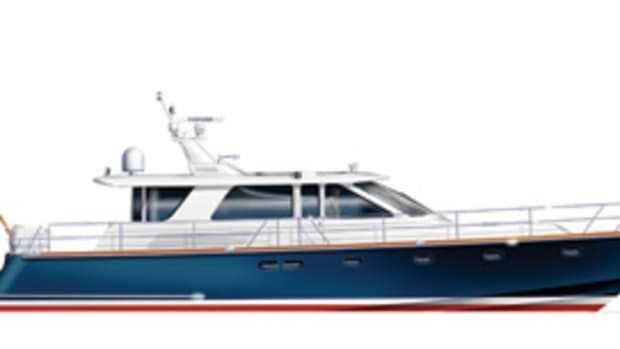 The 68’s rounded stern and prominent stem are reminiscent of more traditional styling elements, but her deckhouse and flying bridge suggest a contemporary flair, with sweeping curves and rounded corners. It’s a hybrid look that is likely to attract ardent admirers as well as a few detractors. But it’s also a look that won’t easily be mistaken. 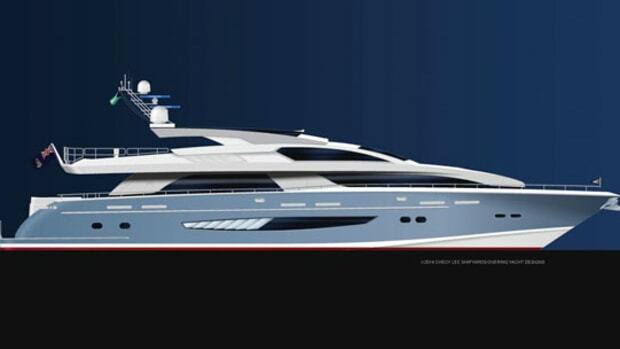 High Modulus has executed the structural design to meet Germanischer Lloyd (German classification society) standards, using an exceptionally strong resin-infused single-skin laminate in the hull bottom and sides, with resin-infused foam core in the decks and superstructure. Cheoy Lee has long used this technique to build hulls of high strength and stiffness with minimum weight, for good performance and fuel efficiency. 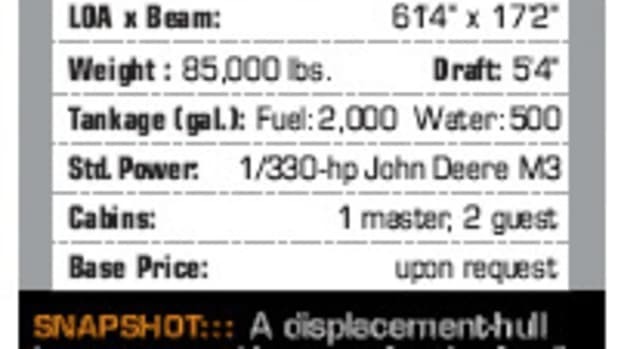 Two Caterpillar C7 diesel engines derated to 315-hp each are expected to deliver a range of 1,800 nautical miles at 10 knots and well more than 2,000 nautical miles at 8 knots. Two accommodation plans are being offered. 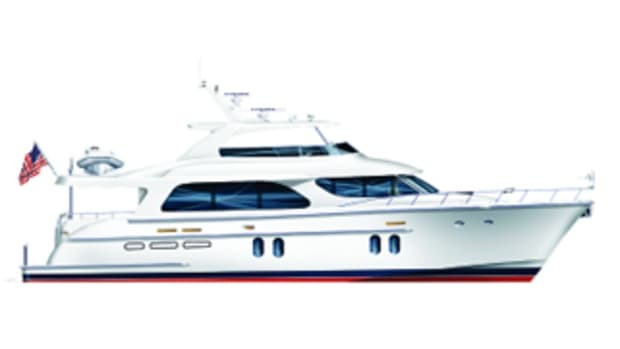 The standard layout has three full-beam staterooms plus a small crew cabin, each with private head. 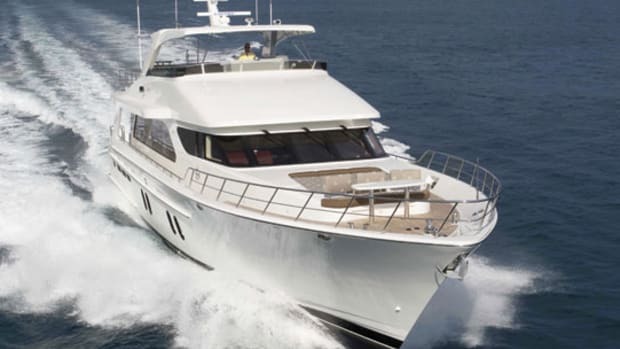 Located aft of the engine room, where motion is at a minimum, the master suite offers an oversize head with shower enclosure and separate bathtub, along with a walk-in closet, a sitting area, and a dressing table. 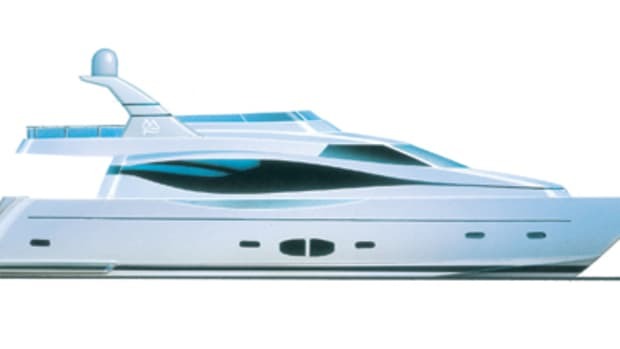 In the stern is a generously proportioned VIP stateroom, while the third guest stateroom is in the bow. The optional arrangement has four guest staterooms plus a crew stateroom. 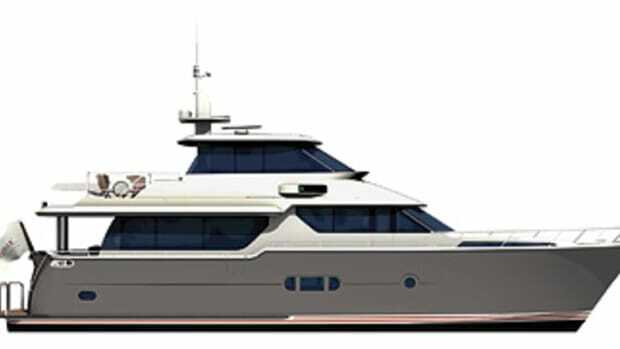 A stairway adjacent to the crew quarters offers direct access to the pilothouse and galley on the main deck, while another stairway will let crew access the flying bridge without intruding on guest accommodation areas.